It seems that the Alaskan Claptrap, Sarah Palin, has decided to chime in on the newest release of classified documents by a Swedish-based website run by Australian Julian Assange - the website goes by the name "Wikileaks." Using the worlds most sophisticated communication service, Twitter, Palin decided to send out the following message of disapproval to her fans: "Inexplicable: I recently won in court to stop my book 'America by Heart' from being leaked, but US Govt can't stop Wikileaks' treasonous act?" Sarah Palin's dual claims are interesting. First, she claimed that she won a court battle involving the leak of her book, and second, she claimed that what Wikileaks did was "treasonous." 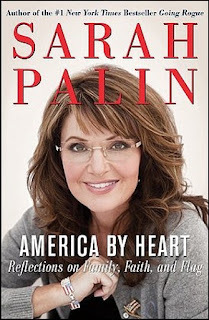 In regards to Palin's leaked book, HarperCollins, the publisher of Sarah Palin's book "America By Heart: Reflections on Family, Faith, and Flag," had reportedly settled with Gawker.com - the website that leaked several pages of Palin's book. While the terms of the settlement have not been disclosed at this time, Gawker editor Remy Stern commented on the settlement stating the leak probably bolstered Palin's book sales. 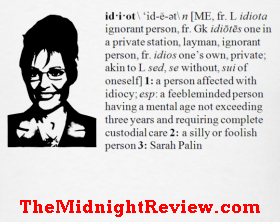 "[It] generated a good deal of press for Ms. Palin's book in advance of its publication . . . Now that the book is out and destined to appear on the best-seller list, we're pleased that HarperCollins proposed settling this case as is, thus avoiding lengthy litigation for both sides," Stern noted. So, given the fact that HarperCollins, not Palin, settled with Gawker.com, it would appear Palin's claim that she single-handedly stopped her book from reaching the internet seems to be false. Now onto Palin's second claim that Wikileaks committed a "treasonous act" by releasing the numerous documents. In case you missed the first paragraph of this article, let me reiterate an important fact - Wikileaks is not American. The website is hosted in Sweden and it is run by an Australian. Unless Sweden and Australia are one of the 57 states Palin thanked in her retaliation against her North Korean gaffe, then it looks like Palin followed up her last gaffe with yet another bigger gaffe. In addition to her twitter comments, Palin also took to her other preferred method of communication - Facebook. Palin released yet another note blasting the administration for failing to act after the first Wikileaks release and urging the government to pursue Wikileaks founder as a terrorist - a position top Republicans wish to do. Palin claims Assange is an "anti-American operative with blood on his hands," but she, nor any other critic of Wikileaks, have been able to prove any recent event stemmed from the first leak of information. While designating Wikileaks a terrorist organization is an interesting way to deal with the embarrassment of diplomatic cables being released to the public, it is a far more dangerous action, then say, anything Glenn Beck claimed "communist" Obama has done or plans to do. The GOP could potentially label any group they disagree with as a "terrorist organization" and act with virtual immunity. Palin pondered just what exactly America did to prevent these leaks from happening, raising a couple questions of her own. Does Palin even understand what she suggests? NATO, or The North Atlantic Treaty Organization, is an intergovernmental military alliance (thank you Wikipedia) where member states agree to a mutual defense in respond to an attack from an outside party. Did Wikileaks launch a military attack against America, and would Palin suggest NATO allies march troops into Sweden to take down Assange's servers? Does Palin not realize that Sweden is militarily neutral? Would she suggest action similar to that taken by Adolf Hitler during World War II? Let's go back to Palin's "treasonous acts" comment for a second. Wouldn't a person have to be a citizen of a nation first in order to commit a treasonous act against that nation, and if it was a treasonous act, then why would Palin want to involve foreign nations in the dealing of a domestic problem? Why would NATO respond to an act of treason? If that was the case, would Palin support foreign troops on American soil? Palin also asks if individuals working for Wikileaks were investigated? Investigated by who? I think Sweden may be outside United States jurisdiction, or maybe Palin is trying to prolong the spirit of the Bush Doctrine - you know, that thing that was the subject of that "gotcha" question asked by Charlie Gibson, which involves such concepts as preventative war and the right for America to secure itself against countries that harbor or give aid to terrorist groups. Being that Palin claims Julian Assange is an anti-American operative, would Palin argue America has the right to enter European countries that are complicit with Assange's actions, like say, hosting his websites or allowing Assange to take up residence? Palin also wants the assets of anyone involved in this most recent leak frozen. Being that she believes Assange committed a treasonous act, would she then afford these individuals the right to due process - the same due process the right wingers felt the federal government deprived computer pirates and counterfeiters of when they seized thousands of piracy websites? Though it remains to be seen whether the government will pursue legal action against WikiLeaks, precedent indicates it's unlikely. In September, the Congressional Research Service released a report concluding that, "leaks of classified information to the press have only rarely been punished as crimes, and we are aware of no case in which a publisher of information obtained through unauthorized disclosure by a government employee has been prosecuted for publishing it." From SP post on FB: The White House has now issued orders to federal departments... to take immediate steps to ensure that no more leaks like this happen again. ... But why did the White House not publish these orders after the first leak back in July? What explains this strange lack of urgency on their part? This is clearly meant to imply that more urgent action on the part of the WH would have prevented this second leak. Problem? It appears that Manning leaked the documents all at once; WikiLeaks chose to stage the release. July 2010 - WikiLeaks publishes 92,000 pages of U.S. military memos termed the Afghan War Diaries. October 2010: Some 400,000 pages on the Iraq War that the Pentagon called “the largest leak of classified documents in its history” are posted by WikiLeaks. While I'll be the first person to admit Palin is incapable of doing the proper research to determine whether what she wants to say is applicable in the situation she is writing about, not ALL of her followers can be this gullible. How can some of them not see just how ignorant this woman is about the justice system works? 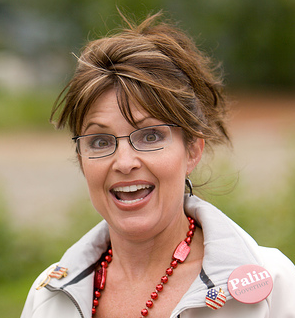 Palin's solution to every situation she encounters is to react. Whether it is something that personally affects her as in her North Korea gaffe or if it is in reference to the Wikileaks debacle, which she uses for her own personal tool to attack our President again, makes no difference to her. She just has to react. It is a calling with her. She has this overwhelming desire and need to speak out in order to attract attention. In fact, she demands attention, craves attention, like an addict craves drugs. What is most important is that we don't have to react to her. Every time we do, we fulfill her need for attention. If we treat her in the manner she is most deserving of, we'd ignore everything she said. It's difficult because this woman's ego is so overwhelmingly large, her saturation of the media with all things Palin has resulted in an assault on us whether we're reading the newspaper, watching TV or perusing the internet. We need to be able to use a trait that she shows no sign of having, we need to use our self-control to ignore her blatant hypocrisy, lies and attempts at manipulating the media at every turn. Only in ignoring her will we win and in doing so, it will prove to the media that she is no longer a page turner, nobody is clicking on links that highlight her latest mishap, we're not watching her program on TLC. In other words, let them know with our actions that we're not interested because they are not paying attention to our words. I agree that Palin needs to be ignored, but a problem with that is by ignoring people like Palin, it perpetuates the Spiral of Silence. By remaining quiet, it gives the perception that these people represent the majority opinion, which is definitely not true, and by ignoring them things will only get worse. I thought your description of Palin was very interesting: "She has this overwhelming desire and need to speak out in order to attract attention. In fact, she demands attention, craves attention, like an addict craves drugs." It made me think of the disorder Munchausen Syndrome.